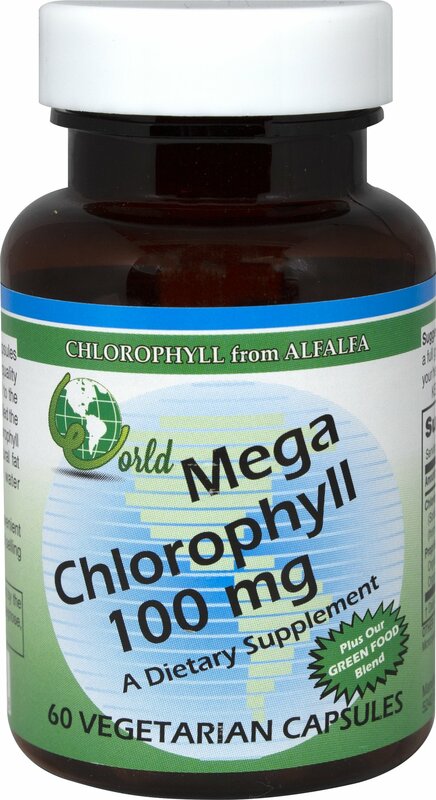 World Organic Mega Chlorophyll Capsules are derived exclusively from high quality alfalfa leaves. Chlorophyll is essential to the process of photosynthesis…often called the “building block of life.” Without chlorophyll there is no life. Chlorophyll is a natural fat soluble nutrient which World Organic makes water dispersible for premier results.